We looked at the top 1 Steam Cleaners and dug through the reviews from 4 of the most popular review sites including Groom and Style, Wiki EZ Vid, Best Garment Steamer Reviews and more. Through this analysis, we've determined the best Steam Cleaner you should buy. In our analysis of 69 expert reviews, the PurSteam PurSteam ThermaPro Steam Cleaner placed 8th when we looked at the top 10 products in the category. For the full ranking, see below. Checkout PurSteam ThermaPro Steam Cleaner for a detailed review of all the top steam cleaners. However, this mop puts out a lot of steam, it’s lightweight, and its versatility makes it well worth considering for many homeowners. 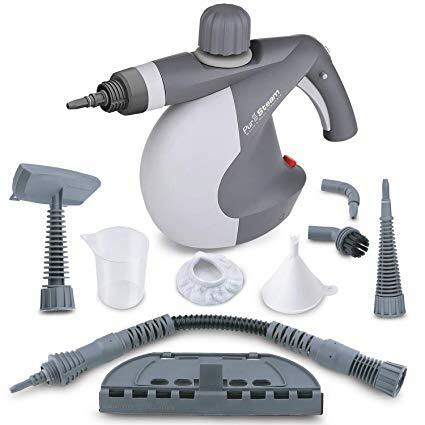 The PurSteam ThermaPro comes with a multitude of attachments, including a straight nozzle that easily lets you trace grout or crown molding. 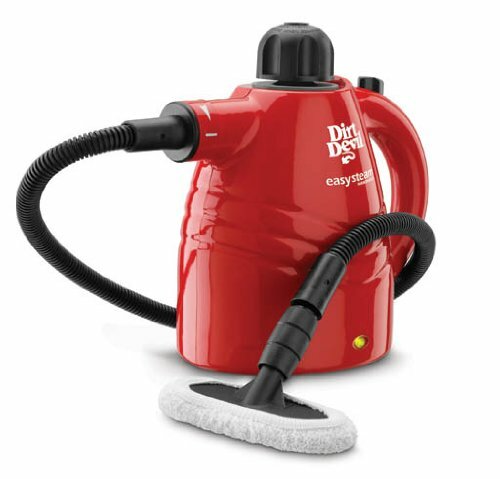 The 11.5 ounce tank provides about 20 minutes of steam, superheated to kill most germs on contact on most surfaces. The cleaner comes with a well-balanced model that makes it easy to maneuver. Once again, don’t expect the quality of a Hoover or Bissell, though; the lightweight plastic is a bit cheap, the Teflon cleaning pads are small, and you can only mop by pushing the swiveling head forward, not back toward you. Extremely noisy while in operation. CLEANS LITERALLY EVERYTHING! Nobody likes cleaning! But with the help of the ThermaPro 10-in-1 Steam Mop you can clean the whole house more quickly and easily, making it cleaner and fresher than ever! Clean a lot more than floors with the built-in handheld steam cleaner, or use the flexible hose to put the cleaning power of steam in the palm of your hand. Works great as floor Steam Mop, Carpet Cleaner, steam cleaner, handheld garment steamer window, mirror & glass cleaner & much more. CHILD & PET SAFE - PROVIDES 99.99% SANITATION WITH NO HARSH CHEMICALS! Super-heated steam is ready in 30 seconds and kills up to 99.99% of germs without the use of harsh chemicals keeping your loved ones safe. Best steam cleaner for tile & hardwood, cleaning with no chemicals, leaves the floors looking new and really clean. 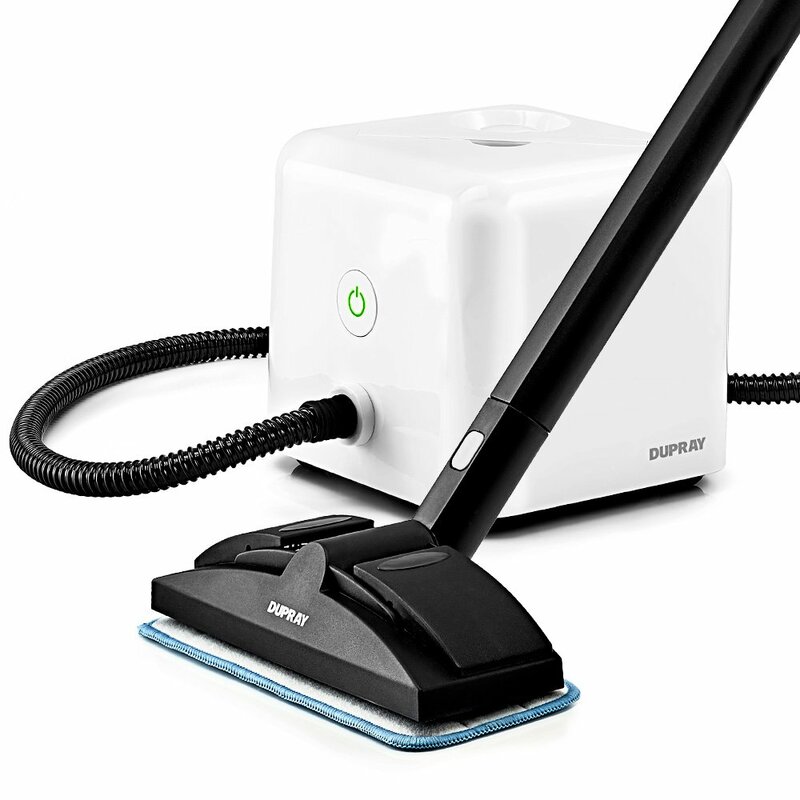 Comes with special surface scrubber, providing versatile cleaning from Top to Bottom. Ideal for Glass, Sealed Stone, Stainless Steel, and Sealed Tile/Grout. LIGHT AND MANEUVERABLE. 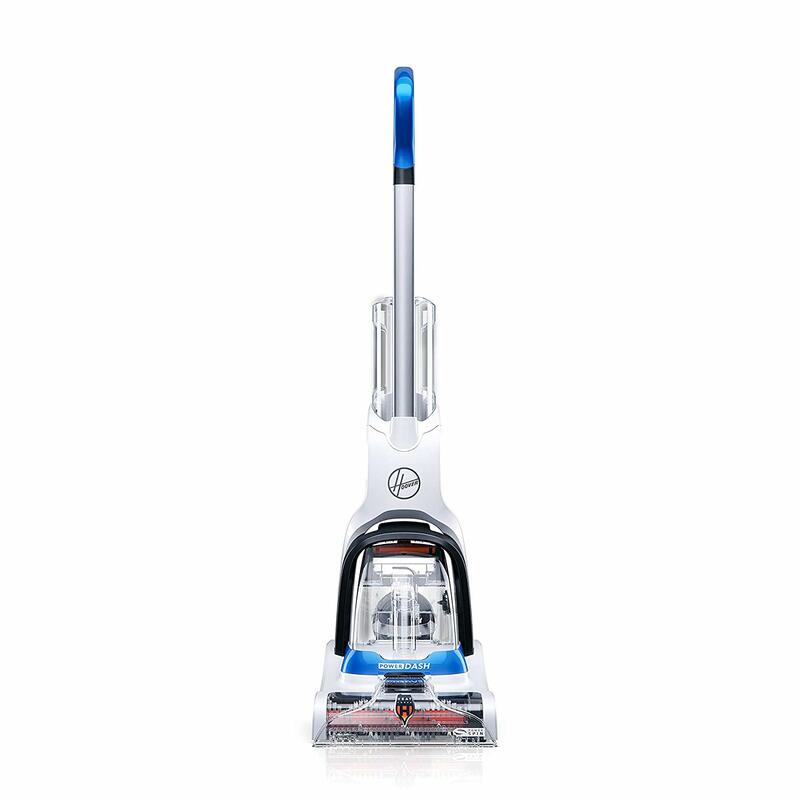 3 Adjustable modes help you cater the mop's steam level to your specific needs. That's especially important when you're trying to preserve your hardwood floors finish. The steam cleaner 's 340ml / 11.5Oz reservoir is good for 20-25 minutes of steaming on the lowest setting, or half of that on the maximum setting. One real bonus is that it uses tap water alone to steam off dirt, eliminating the need to buy pricey detergent. GUARANTEED TO BE HAPPY. We are confident that our steam mops are manufactured under the strictest quality standards to give our customers the very best experience possible. PurSteam is the leading brand in steaming and we back ALL of our products! We offer a FREE REPLACEMENT POLICY without any costs from your side and 2-YEAR WARRANTY, totally risk free for you!